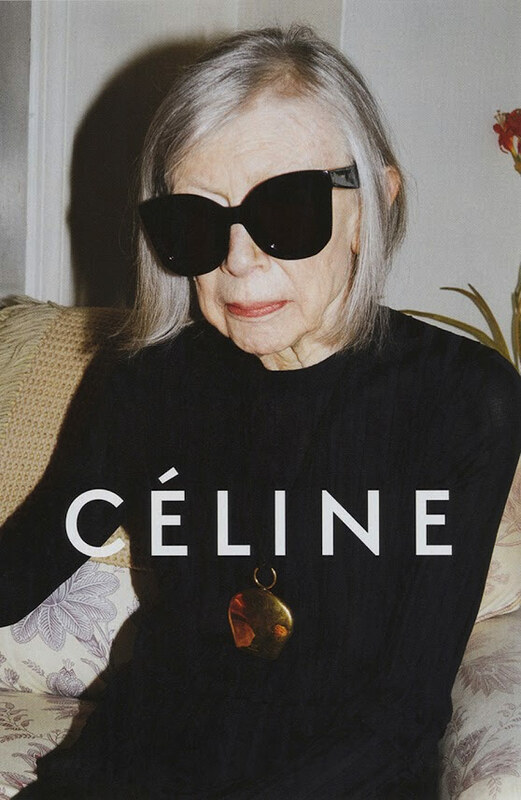 Fashion-cult favorite and French ready-to-wear brand, Céline, set the industry abuzz earlier this week when it revealed Joan Didion as the face of their spring 2015 ad campaign. Shot by Juergen Teller, Didion is pictured with a perfectly coiffed grey bob and Céline’s signature oversized sunglasses. She wears a simple dress with only a gold pendant for an accessory. Needless to say, the outfit is all black and stays true to Céline’s bare essentials aesthetic. At 80-years-old, this campaign is a testament to Didion’s perennial elegance and cool-girl charm. Céline’s appeal comes from the brand’s no fuss, effortlessly chic clothing. The brand has a long history of catering to the minimalist, chic, and on-the-go, and is favorited by everyone from the Kardashian clan to Anna Wintour. The brand has such a dedicated following that committed clientele often refer to themselves as “Philophiles”, after the brand’s Creative Director Phoebe Philo. 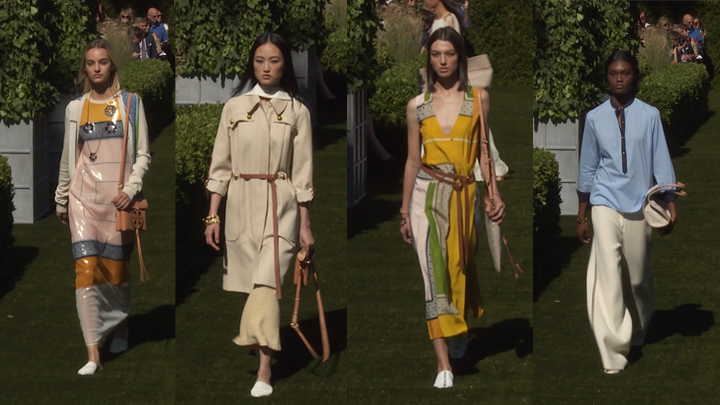 Didion’s own elegance and minimalist style make her the perfect embodiment of the Céline woman. 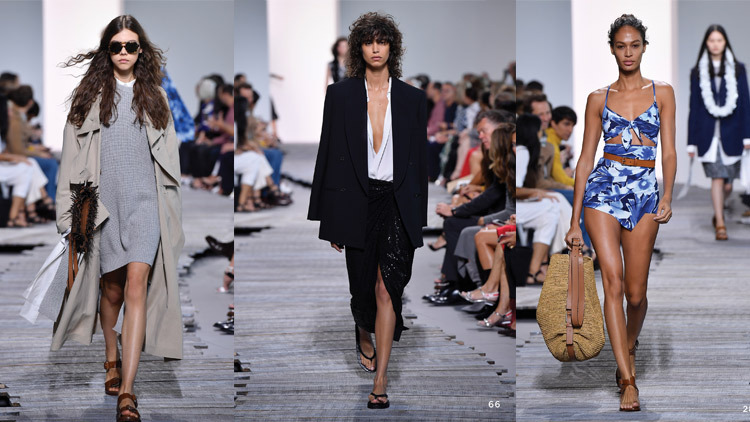 Considered American literary royalty, Didion authored Slouching Towards Bethlehem and is highly regarded for her hand in voicing the social anxieties and sentiments of the 70s-- which is fitting as the inspiration for Céline’s spring collection draws from the same era. Didion also spent time at Vogue as the associate feature editor and was the subject of a now-iconic portrait series shot by Julian Wasser for Time magazine. If you had any doubts about Céline’s “cool-girl” image, Didion’s status as both a literary and sartorial icon-- and now, as the brand’s latest muse-- will certainly put them to rest.